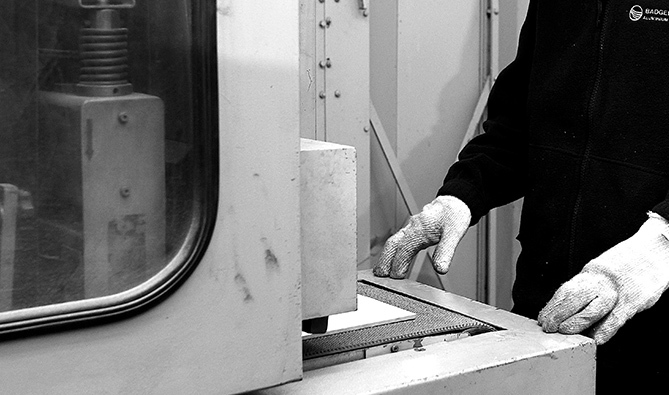 At Badger Anodising we pride ourselves on our rapid response times and our exceptionally high quality standards. 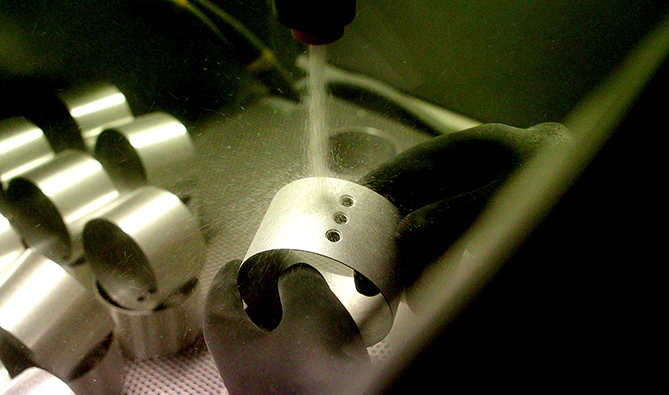 We offer polishing, bead blasting , linishing, and colour anodising. 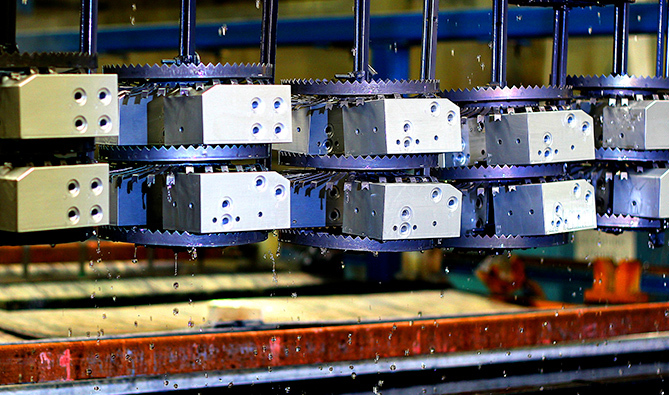 Recently we have expanded our polishing and linishing services , due to high customer demand. 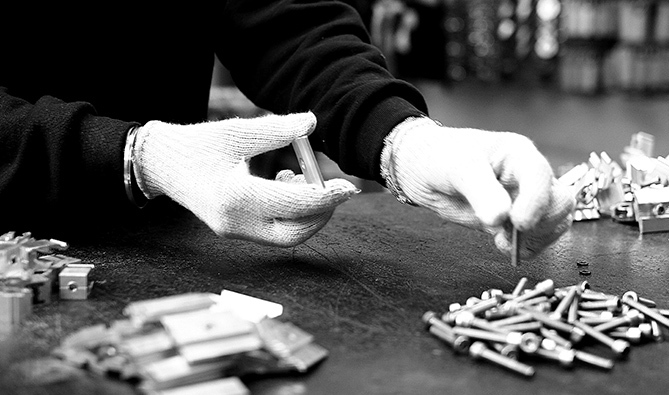 We work proactively with our customers in order to provide them with a bespoke tailored service taking the raw manufactured components from pre-treatment, anodising, dyed to specific colours and hot and cold sealed. With the further option of assembly and packing. 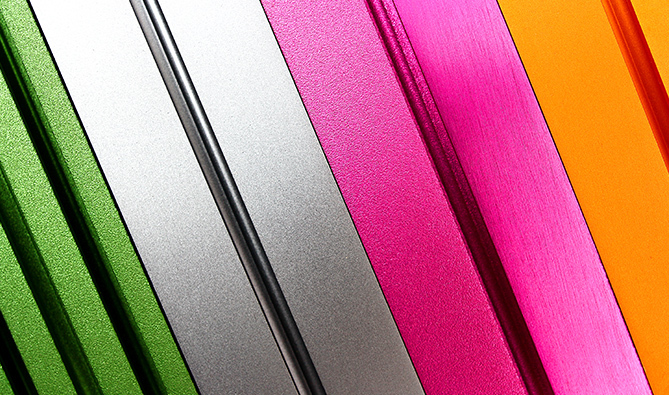 Badger Anodising offers a standard range of colours, silver, brass, titanium, gold, red, violet, green, blue, orange, bronze and black. As a result of customers requests Badger Anodising now offers its customers the option to have the end products assembled and packaged, tailored specifically to meet the clients requirements. Bead blasting is the process of removing surface deposits on various metals by applying fine glass beads at high pressure using compressed air without damaging the surface. Linishing is the process using belt sanding techniques to improve the flatness of a surface. Linishing techniques are used to remove joints and seams from metal that has been welded or fused together. With our 60 years experience in finishing and polishing, we pride ourselves on being able to meet all our customers polishing requirements. 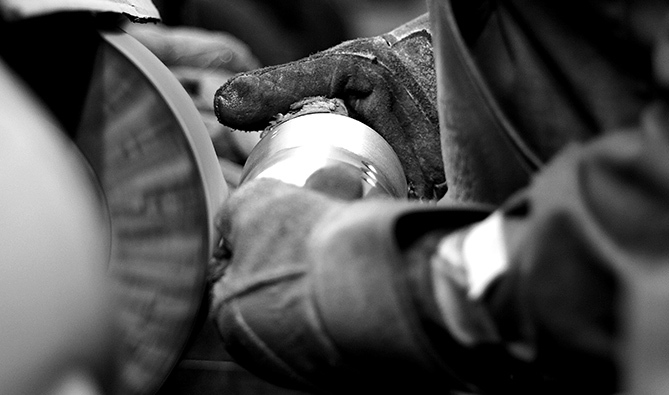 At Badger Anodising we understand that our business is only as good as the professional people we employ. It is a team effort with all staff working together to solve problems and ensure we meet our customer’s expectations, meeting deadlines with no compromise to quality. We are committed to training our staff at all levels as we strongly believe they are our investment for the future. Currently recruiting experienced Anodisers and Jiggers to work a 39 hour week. Many thanks to all who came to see us at stand L1 at Southern Manufacturing . It was encouraging to see so many people at the show all giving positive comments on our bespoke stand and free cupcakes on offer. We had a very large amount of enquires of which I hope will materialise in to new business. Copyright © 2019 Badger Anodising (Birmingham) Ltd. All Rights Reserved.